Are you interested in owning an aircraft? Have you considered fractional ownership? 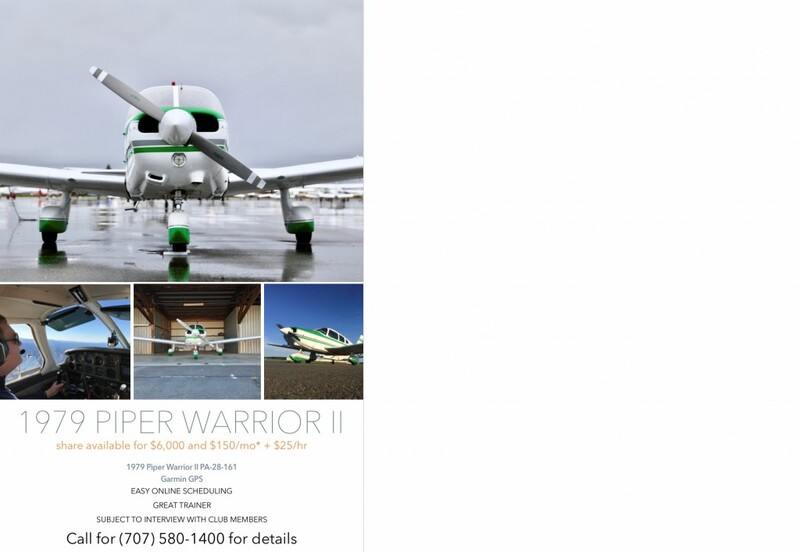 Check out this unique opportunity to own part of a 1979 Piper Warrior II for only $6000. Perfect for the $100 hamburger flights, sightseeing, or even low cost training. Aircraft is hangared at KVCB. DM me or leave a message at 707-580-1400 for more information. Please share.